This is a very common chaparral plant. It is a pyrophyte like Chamise and the two are often found growing together. The plant grows back after a fire both from seeds and from the rootstock. The leaves and young stems are quite often infected with a fungus (of the genus Heterosporium) that makes the lower part of the plant appear almost black. The plant is somewhat sticky or gummy to the touch. 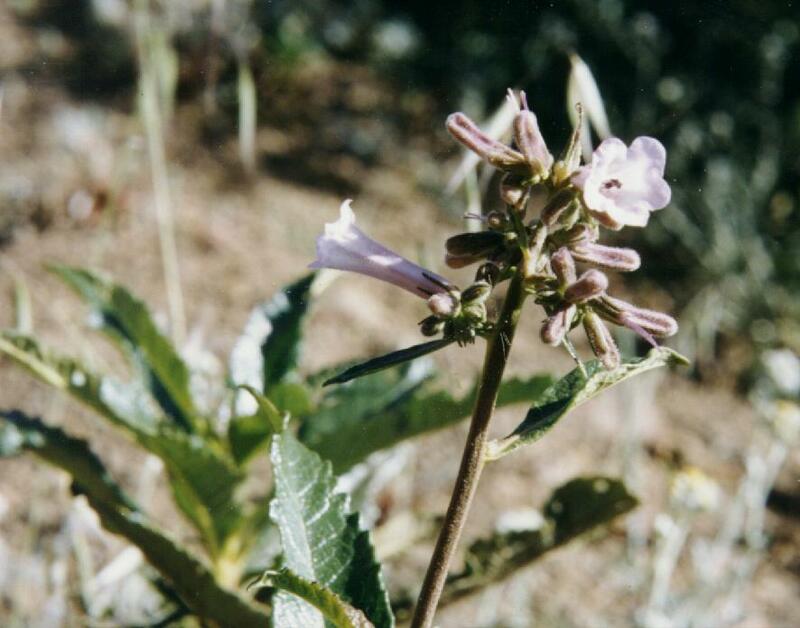 The flowers can be seen in May, and are tubular bluish white and about a half an inch long. 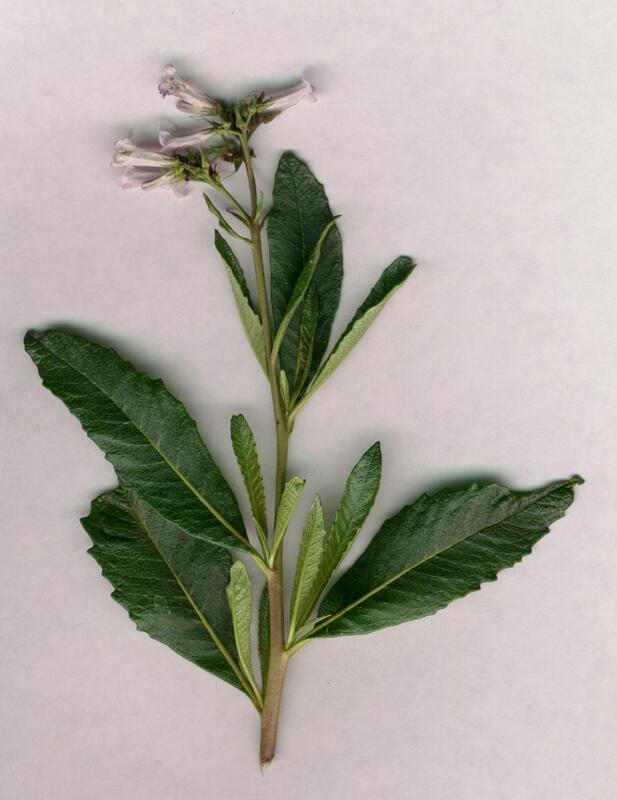 Early Californians made a tea of this plant for alergies and colds. Indians mashed the leaves to spread on abrasions as a poultice.